MI-BOX Self Storage delivers portable storage containers right to you – making self-storage easy and convenient! 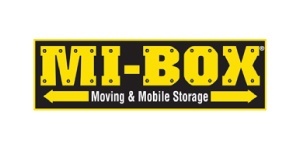 Your MI-BOX mobile unit can be stored at your site or at our secure storage facility. MI-BOX Portable units are perfect for the moving process! Whether you’re moving yourself or using a professional moving company, MI-BOX pods take the place of a traditional moving truck and ensure that your belongings are kept safe and secure through your move.